It’s about that time of year again – the Summer festivals are starting to release their extended line ups and the pre-sale ticket buyers are suddenly becoming the biggest fans of about twenty bands they’ve only just heard of. This year’s Reading/Leeds announcement unfortunately came with a shocking insight; there is a devastating disparity in its gender representation. The depressing Reading and Leeds statistics in all their glory (or lack thereof). Gender inequality pervades every facet of our society and music has had more than its fair share of this; the Viennese Philharmonic, a pillar of the western classical tradition, only started offering full membership to women in 1997 (I KNOW). But, as with many things, popular culture has paved the way for progression; seventeen of the current Top 40 entries are from women. As a male, I’m not best placed to give social commentary on gender inequality, but hope I can provide insight into some of the causes of this disparity in this case. I grew up playing in bands, bands comprised of only males and bands of mixed gender. It was a massive part of my teenage and coming of age experience. The Reading and Leeds line up features only nine acts made up of women, either performing on their own or as part of a band. Although there is a conversation to be had about the gender equality of the music industry in general, I think that we are looking at something very specific here. We are looking at ‘band culture’ – groups that form usually at a young age, making music that would fall under the pop/rock, alternative, indie, rock, metal categories. Evidence of this difference can be found in the T in the Park line up, a much more pop focussed festival. It features 11 acts made up of women (the line-up is much smaller than that of Reading/Leeds so this is figure is greater by proportion). 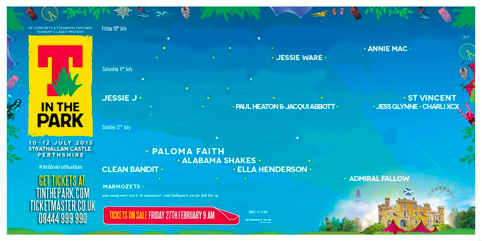 The women and acts featuring women in this year’s T in the Park line up. To look further at this we need to examine what makes being in a band appealing to young people and the culture that fosters this i.e. the media. In the days of the internet, music magazines may seem a little outdated and unresponsive to the pace of today, but they are still the cornerstone of the band scene. Many avid music lovers still follow these weeklies and look to them as their first and most reputable port of call for musical news (there is also a lot of research on them, which helps me). The music press is written by and largely for men. 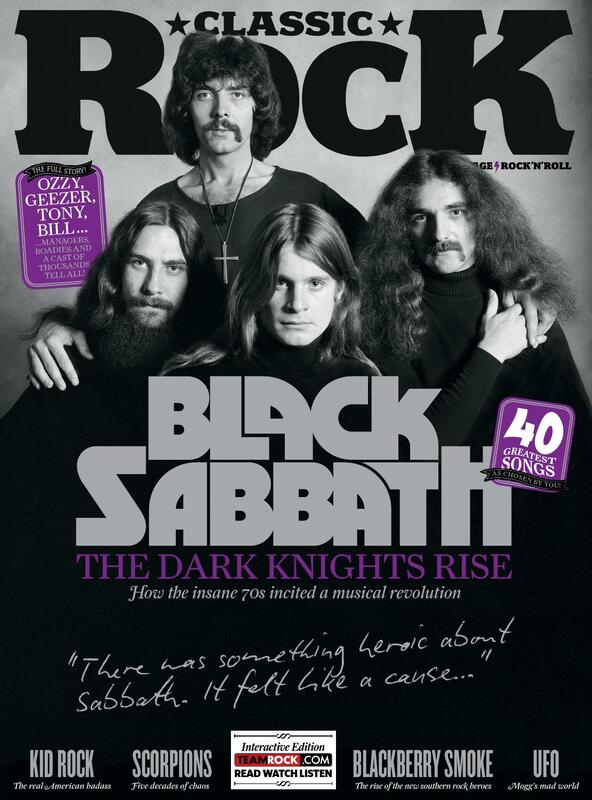 Looking at media packs – information given to advertisers to help them target the appropriate audiences – one can garner the following: that Classic Rock believes its readers make up a ‘loyal following of 35+ affluent informed influential men’. Mojo’s target audience meanwhile is ’37, a passionate and discerning music fan, long-time musician himself and dedicated record collector’, and the Q reader is ‘late 20s/early 30s and a passionate music fan. He’s inspired by the rock’n’roll swagger of Liam, Noel, Blur and the whole Britpop scene’. And perhaps most unashamedly single marketed is Kerrang! – ‘Jim, 22, lives and breathes rock music, it informs his choice of friends, his hobbies, leisure time, attitudes, fashion sense and lifestyle’. These magazines are also stacked on the top shelves of newsagents away from newspapers and surrounded by breasts from the covers of the lads mags, again suggesting that they’re not for woman. A small selection of some of Britain’s most popular music magazines. On a more positive note I think that although the media is more male-centric, the critical and academic spheres tend to be more egalitarian. The Mercury Music Prize, an album of the year award which tends to nominate artists that fall into folk, pop/rock, alternative, indie, rock, electronic and experimental genres, and by a vast majority, bands, has been won in over a third of cases by bands of mixed gender or a solo female. 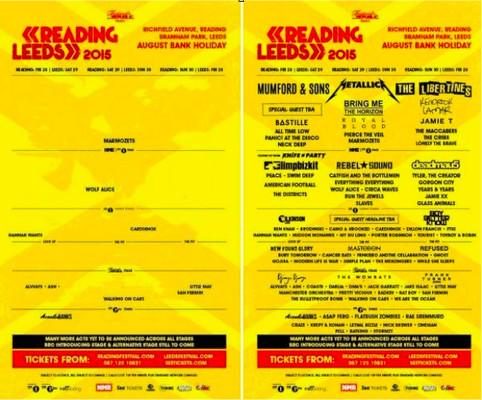 And this is impressive given the make up of potential nominees (see Reading/Leeds line up). Also, the only person to have ever won it twice, is PJ Harvey. Another thing that’s worth talking about is what the attraction to being in a band is. Most bands form around the members coming of age and this is important. Part of what attracts people to being in a band is the camaraderie of it, and for coming of age heteronormative males, it is understandable why this camaraderie is harder to achieve in a mixed gender group. There is also the dichotomy that can arise in a band with a female singer and male backing – there can be a struggle to be seen or feel like a whole unit. This is displayed perfectly No Doubt’s ‘Don’t Speak’ video. That’s not to say that mixed gender bands can’t work – I had a great time in mine and I listen to plenty of them. Gender specific camaraderie can be found in many of the great all girl bands around now, many of whom are tackling that aggressive sound that had been for many had been exclusively male. With contemporary music I’m not sure there are the huge barriers to involvement that exist in other aspects of society, but we definitely need to cultivate more of a climate for further female participation where the media must recognise its female readership. I hope to see a better gender ratio on display at these events in the future, not for the sake of gender equality for it’s own merit but because I know that there may be women out there that may not have been in bands in their formative years, who could have. Martin is a second year Music Technology student at The University of Edinburgh. A recent claim to fame is that he was one of the first on the internet to notice the Death Grips homage to Ai Weiwei (cultured or what). He loves everything penned by George Orwell and backing himself into a corner whilst defending Green Party policy. I read this article and found it very interesting, thought it might be something for you. The article is called Reading and Leeds – Just for Men? and is located at http://prancingthroughlife.com/2015/03/06/reading-and-leeds-just-for-men/.